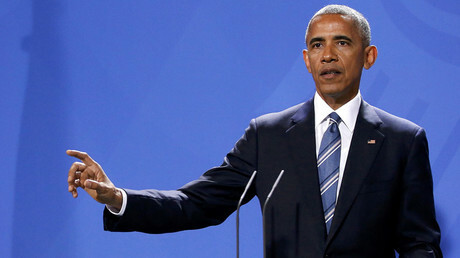 US President Barack Obama and EU leaders have agreed to keep anti-Russian sanctions in place for a further year over the situation in Ukraine. 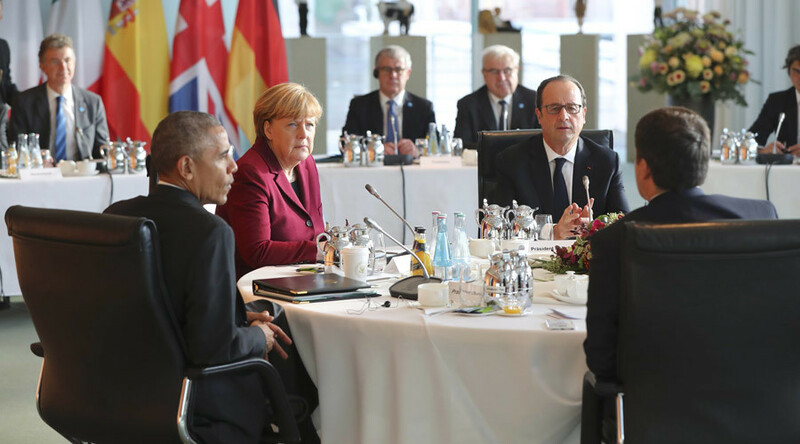 President Obama, who is on his final official visit to Europe, met with the leaders of Germany, France, Italy, Spain and the UK on Friday. Among the main topics on the agenda were extending sanctions against Russia, cooperation within the framework of NATO, the rise of Islamic State (IS, formerly ISIS/ISIL) in Iraq and Syria. "The leaders agreed on the necessity of working collectively to move the transatlantic agenda forward, particularly on bringing stabilization to the Middle East and North Africa, as well as securing diplomatic resolution to the conflicts in Syria and eastern Ukraine," the White House said in the statement. "The leaders also affirmed the importance of continued cooperation through multilateral institutions, including NATO," the White House added. Sanctions won’t stop Russia from improving its dialogue and ties with other countries, Kremlin spokesman Dmitry Peskov said. “We [Russia] have never initiated sanctions. These [sanctions] don’t prevent us from building dialogue and continuing the dialogue on matters that are of interest to us, to Russia,” Peskov said. Russian President Vladimir Putin and outgoing US President Obama are likely to talk informally on the sidelines of the Asia-Pacific summit in the Peruvian capital of Lima, Peskov said on Friday. “The two administrations have not agreed on any separate meetings, but we can assume that President Putin and President Obama will cross paths on the sidelines of the forum and will talk,” Peskov said. Also on Friday, NATO Secretary General Jens Stoltenberg gave a speech at an event hosted by the German Marshall Fund of the United States (GMF), where he said that Europe and the United States “are close economic and trade partners” and mentioned potential threats for the alliance. “Russia, breaking international law. Turmoil in North Africa and the Middle East. The refugee and migration crisis. International terrorism. Hybrid warfare. And cyber-attacks,” said Stoltenberg, listing the perceived dangers.